Although many of Google’s big announcements over the past year or so have related to Project Glass, this year’s I/O developers conference was all about Android, Android Wear, and the Chromecast, with the search giant also rolling out some new products and services for the home and auto markets. Chromecast, which first hit the scene last year, is not only incredibly cheap, but also highly functional, and at the aforementioned I/O in June, we learned that the Big G was about to add Android Mirroring to the HDMI dongle’s repertoire. Today, the company has delivered on that promise, and now, Android-wielding Chromecast users can beam the contents of their display onto their HDTVs. Android has many benefits over rivaling ecosystems, such as Apple’s iOS, but one area that the Cupertino has always flourished is in keeping its devices in harmonious sync with one another. 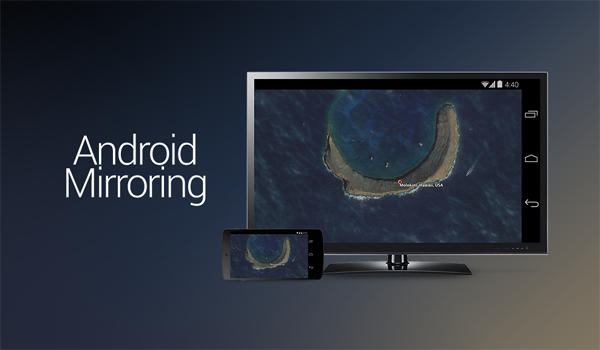 AirPlay Mirroring has allowed OS X and iOS devices to hook up with Apple TV for seamless streaming, but while Android is still a little behind in this regard, today’s roll-out of Android Mirroring is a step towards bridging this gap. Given the retail price – the Chromecast will, after all, only set you back a mere $35 – it’s no wonder that few have refuted Google’s claim that the minute device is among the market leaders, and with Android Mirroring to match what Apple is doing with AirPlay, it’s no wonder Tim Cook’s company has dropped the price of its set-top in several markets across the world. 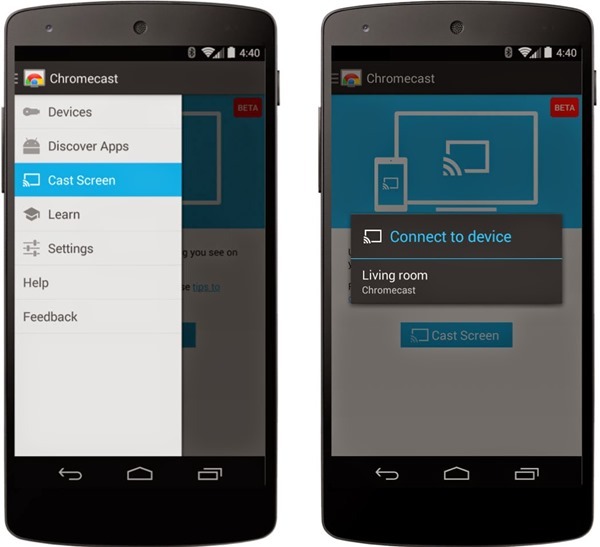 The new ‘Cast Screen’ feature for Chromecast, part of an update that will begin rolling out today, will allow users to mirror an Android smartphone or tablet’s contents directly to a Chromecast-connected TV, and although the update is still in beta, Google suggests that select devices from vendors including Samsung and LG will receive this new feature over the course of the next few days. As is often the case given the stuttered nature of updates for Android devices, you may have to wait a little before you see this new feature, but hopefully, you won’t be left in the lurch for too long a while, and can try this Apple-esque feature before the week’s out. Download the official Chromecast app from the Play Store – version 1.7 to be exact – and you can mirror your display on your big screen TV in no time. Provided you have a Chromecast dongle of course.